Purchasing a house is almost always a stressful process. One has to be concerned about finding the perfect home for them and the cost of said home. With all the thoughts of the way one would pay the mortgage or the sorts of loans one needs to get, it can give anyone a headache. Here at Fairfax Mortgage Investments, we can help with that. Operating business in Arlington, VA since 1990, you are able to reach out to us, sit down with us, and speak with us about the numerous loans one need for your own mortgage. We guide you through the process of gaining a new residence and provide a good investment for your mortgage. With meticulous care and rather low expenses, Fairfax Mortgage Investments work to lease people the house they desire with the right amount of money for their budget. Our staff at Fairfax Mortgage Investments make getting a house as easy and painless as possible. From the moment you sit down with us, this Arlington, VA mortgage broker manages your home buying prerequisites efficiently. Hand-holding you through the procedure, our brokers go through every point of the procedure step-by-step, showing which loans may be useful and what a homebuyer has to do. Although this procedure can take a couple days, patience is a virtue and Fairfax Mortgage Investments would be by your side every step of the way. Fairfax Mortgage Investments are home brokers, which means we purchase and sell anything related to houses for the client. In cases like this, it is a house. =The mortgage concentrates on the our agents lending cash to the customer so they can purchase the house in Arlington, VA. In exchange, they repay the money with interest. While some brokers turn down a job because it’s “too demanding,” Fairfax Mortgage Investments does not do that. We supply most cases a mortgage for an affordable price, allowing you to buy the home of your dreams in Arlington, VA.
With terrific mortgage investments, comes terrific financial loans. Fairfax Mortgage Investments have a number of different loans you may take at your own discretion. Naturally, we also hand out guidance whilst somebody is picking the loans that they desire. A few of the loans we consider are loans other brokers don’t do, including jumbo loans and bridge loans. Sometimes, we give help for down payment assistance loans and home improvement loans. Anybody in Arlington, VA can agree that if it comes to paying back lent cash with interest, Fairfax Mortgage Investments are economical and effective in what we are doing. 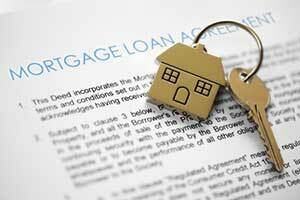 Mortgage brokers who are open to all kinds of loan choices are somewhat hard to come by. However, not this mortgage broker. All throughout Arlington, VA, Fairfax Mortgage Investments will always be the place to go in regards to great rates and service. Get started by completing our online form or phone us today!